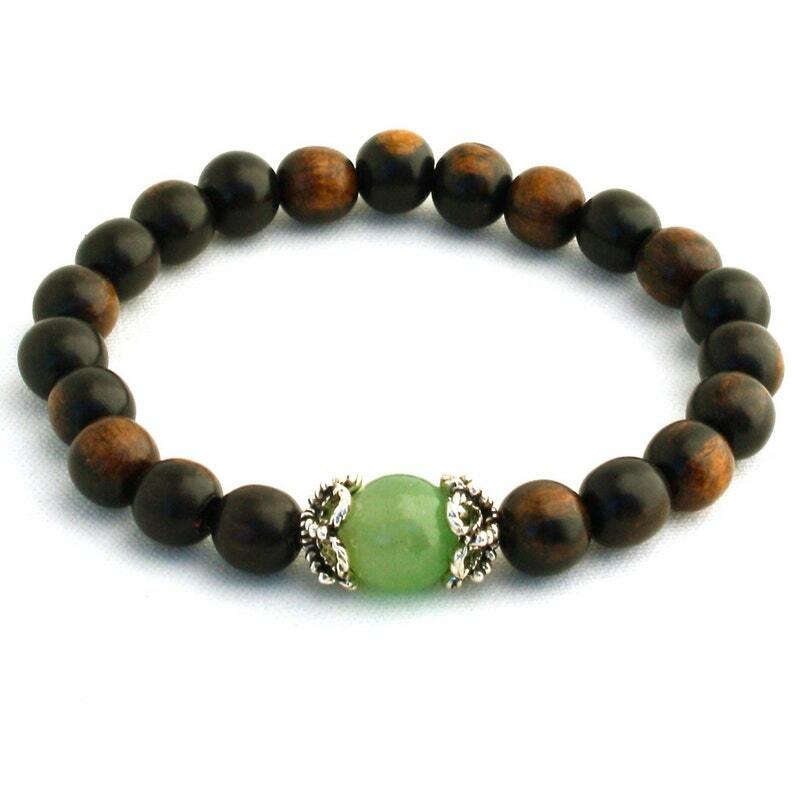 Tiger Ebonywood, with its flashes of pale wood against dark, is combined with a green aventurine guru bead surrounded by filigree bead caps in this wrist mala bracelet. 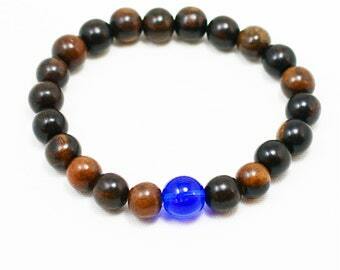 Simple and so fun to wear alone or with other bracelets! I just love the contrast of dark brown wood with bright green. To collect your prayers, charge with good energy, and remind you to breathe throughout the busy day.. Easily fits a 6.5 to 7" wrist, but if you need a different size, just add a "note to seller" during checkout. I string all these malas on strong stretch cord, with love and prayer, for all sentient beings and the wearer.